Whether you are looking to book a day or evening out, a trip to Europe with a full itinerary, or even an airport transfer for corporate clients. 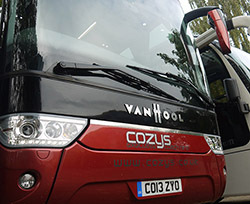 All of our coaches prove extremely popular with both business and leisure customers alike. Through the 20 vehicles that we operate we are able to offer customers a full spectrum of sizes. For your comfort some coaches have air conditioning, toilet, hot drinks machine, refrigerator, reclining seats and foot and arm rests. Some of the schools and business that we supply to have been loyal customers of ours for in excess of 10 years. All our drivers arrive fully uniformed and are DBS checked. All drivers abide by the EU drivers hours regulations & also receive ongoing CPC driver training. 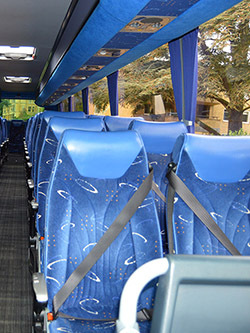 All our coaches are of the highest standard and are equipped with both safety and comfort in mind, Including ABS, ASR, R66 (roll-over crash protection bars) & seat belts. All our vehicles undergo stringent tests by our fully qualified in house engineers, and are serviced every six weeks. 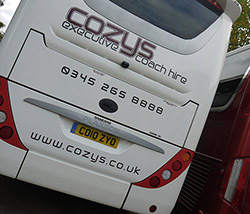 Our coaches are cleaned inside and out to a very high standard and all are washed daily using our coach wash facility. We always endeavor to offer competitive quotations, however fully appreciate that we may not be able to provide you with the cheapest price. We are a strong believer in the fact that passenger safety, reliability and customer service should not be compromised.